Miriam Katin » Blame it on New York! Blame it on New York! 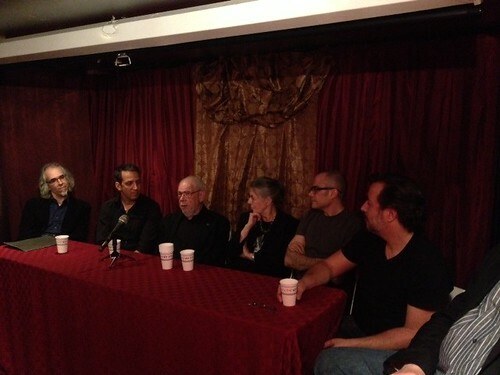 Yesterday evening at Soho Digital art, Mom was part of a panel that included some comic heavies: Bob Sikoryak, Peter Kuper, Al Jaffee, Mom, Bob Fingerman, and Dean Haspiel. While it would have been nice to tag along, I am sure it would have been a jittery weak-in-the-knees affair for me. Peter Kuper and Al Jaffee being one of my all time favorites. As the title implies, the panel discussed how living in New York City influences their work. © Copyright 2019 Miriam Katin. All rights reserved.